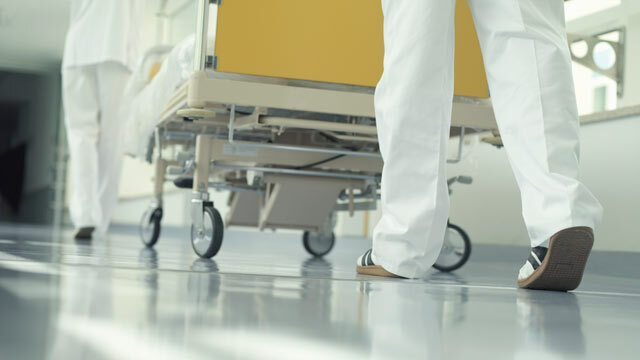 As a result of state psychiatric hospital closures, 3,222 psychiatric hospital beds are no longer available to patients and another 1,249 may disappear soon, according to NASMHPD. It has not yet been confirmed whether Adam Lanza had been diagnosed with mental illness, but the 20-year-old who murdered his mother, then drove to a Newtown, Conn., elementary school and gunned down 20 first-graders and six adults has again shined the spotlight on care for the mentally ill in the United States, and has many asking whether yet another mass shooting could have been prevented. Despite four shooting rampages since President Obama took office in 2009, mental health care continues to be hampered by budget cuts, closures, battles with insurers and stigma, doctors said. "We have very good treatments for mental illness that are highly effective," said Dr. Jeffrey Lieberman, president-elect of the American Psychiatric Association. "But they're not widely available. People don't have ready access to them." Since the recession forced budget cuts in 2009, state general funding for mental health care has decreased by an estimated $4.35 billion nationwide, according to the National Association of State Mental Health Program Directors, which serves 6.8 million patients a year. Since 2009 alone, 3,222 psychiatric hospital beds are no longer available to patients, and another 1,249 may disappear soon because of proposed closures, according to the association. That's about 10 percent of all state psychiatric hospital beds gone in about three years, said Dr. Robert Glover, the association's executive director, who said he'd never been more worried. "This is the worst I've seen it," Glover, who's worked in mental health for almost five decades, said about the cuts. "They are painful, and unbelievably tough. I am incredibly worried about future cuts with the fiscal cliff and state budgets not getting better." One in five American adults reported suffering from mental illness within the past year, with one in 20 reporting serious mental illness that resulted in "functional impairment," according to the Substance Abuse and Mental Health Services Administration's latest annual National Survey on Drug Use and Health Report. Despite its prevalence, mental illness is something patients and those around them have tried to ignore dating as far back as World War I, when soldiers were called cowards for showing signs of what we now know was post traumatic stress disorder, Lieberman said. Today, the largest mental health facilities are for inmates at the Los Angeles County Jail in California, Cook County Jail in Illinois and Rikers Island in New York, Lieberman said. According to the Bureau for Justice Statistics, 56 percent of state prisoners, 45 percent of federal prisoners and 64 percent of jail inmates had mental health problems in 2006. Between 10 percent and 20 percent of those with mental health problems had symptoms of psychosis, such as delusions or hallucinations. Jared Lougher was diagnosed with schizophrenia six months after he went on a shooting spree outside an Arizona shopping center in 2011, killing six people and wounding 13 others, including Rep. Gabrielle Giffords. A judge declared Virgina Tech shooter Seung-Hui Cho "mentally ill" two years before he killed 32 people and then turned the gun on himself in 2007. A child psychologist wrote a book 10 years after the Columbine High School massacre that said shooters Eric Harris and Dylan Klebold weren't just bullied before they gunned down 12 classmates and a teacher in 1999; they were mentally ill, too. Click here for full coverage of the Sandy Hook shooting. Most mentally ill patients aren't dangerous, but it's very difficult for psychiatrists to predict who will become violent, said Dr. Carol Bernstein, a psychiatry professor at NYU Langone Medical Center. Lieberman pointed out that Jared Loughner's classmates and neighbors could see that he was mentally ill before his January 2011 shooting spree, but they didn't do anything about it, Lieberman said. "If he was sitting in class and he had a seizure and was vomiting, they would rush to his side, stop the class, help him, call 911," Lieberman said. "In his case, they didn't. They thought he was weird. They avoided him. They made jokes about him. It reflects how mental illness is dealt with in this country." The high number of prisoners with mental illness is a mark of the failures of the current mental health care climate, because the mentally ill wind up behind bars before they can get treatment, Lieberman said. "We haven't provided these people with what they need," said Lieberman. "What we're seeing here now is, 'Uh, oh people have mental health problems. We need to pay attention to mental illness now.' But it's a too little, too late kind of reaction to this. ... Whatever it takes is worth it, but this is kind of late in the game." Mental health patients turned to state and community outpatient care in the 1960s, after mental health institutions closed and doctors could treat mental illness with new medications. Deinstitutionalization, though, hasn't exactly worked, doctors said. "Some of that was really good because people were able to be treated on the outpatient side," Bernstein said. "But they never really provided out-based treatment for patients. It's been a serious problem ever since deinstitutionalization." Now, those state-run -- as well as private -- facilities are struggling even more amid budget cuts. Cedars-Sinai Medical Center in Los Angeles, for instance, announced in November 2011 that it would begin phasing out some psychiatry programs to focus on "core strengths," the hospital said in a statement at the time. Nonprofit and private hospitals have cut back on psychiatric care because mental health services tend to be far less profitable than other care due to "terrible" insurance reimbursement, Bernstein said. The Mental Health Parity and Addiction Equity Act was passed in 2008 as a way to resolve this. It abolished limitations on lifetime mental health coverage, in-patient hospital stays and other practices considered to be discriminatory because they didn't apply to other medical care, Bernstein said. For instance, before 2008, it was acceptable to charge a higher co-pay for a session with a therapist than for an appointment with in internist despite the fact that they're both considered specialists. However, the law is not working, Bernstein said. "I don't know how much is ignorance of the law and how much is deliberate defiance of the law, but it's very clear that insurance companies have long been resistant to covering psychological disorders the way they cover services for other medical illnesses," she said. "That's been a huge problem." Bernstein said insurers make mental health patients jump through extra hoops by requiring them to get prior approval before seeking mental or substance abuse treatment but not other health treatments. Without prior approval, insurance providers won't pay. They also require "reams and reams" of paperwork to justify mental health treatment, she said. America's Health Insurance Plans, a health insurance trade group, said it supported the parity law and had worked with "the mental health community" to craft it, group spokeswoman Susan Pisano said. "I think that with health plans that have taken steps like prior approval, the purpose of that is to make sure that we get people into the treatment they need, to help them get to the best place," Pisano said. The law also only applies to group insurance plans that cover more than 50 employees, and only if they already include mental health and substance abuse treatment. It doesn't mandate that all insurers provide mental health coverage. "Our society gives short-shrift," Lieberman said. "It does not provide the same level of urgency to mental health care as it does to general health care, something which has been longstanding but ignored."